I know it now and have done for a few weeks; Selebi Phikwe (SP) is a lot further than 2000km from where I live near Cape Town. And, truth to tell, if I hadn’t paid the deposit before I bothered to work that out, I wouldn’t be doing this. If. Perhaps. Wouldn’t. Sigh. I’m in De Aar, 780 km from home after a lengthy day on the road. 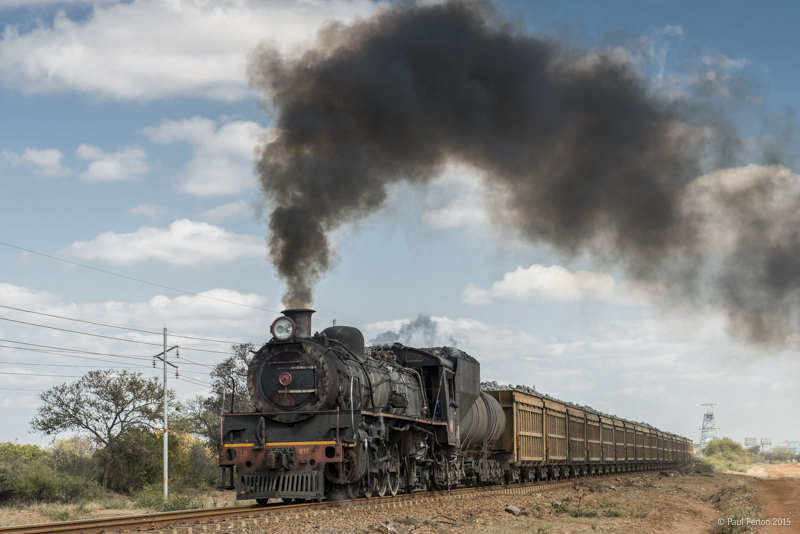 On my way to north east Botswana to join a group of steam railway enthusiasts, to photograph some of the region’s last few working steam locomotives before they meet their now scheduled end. 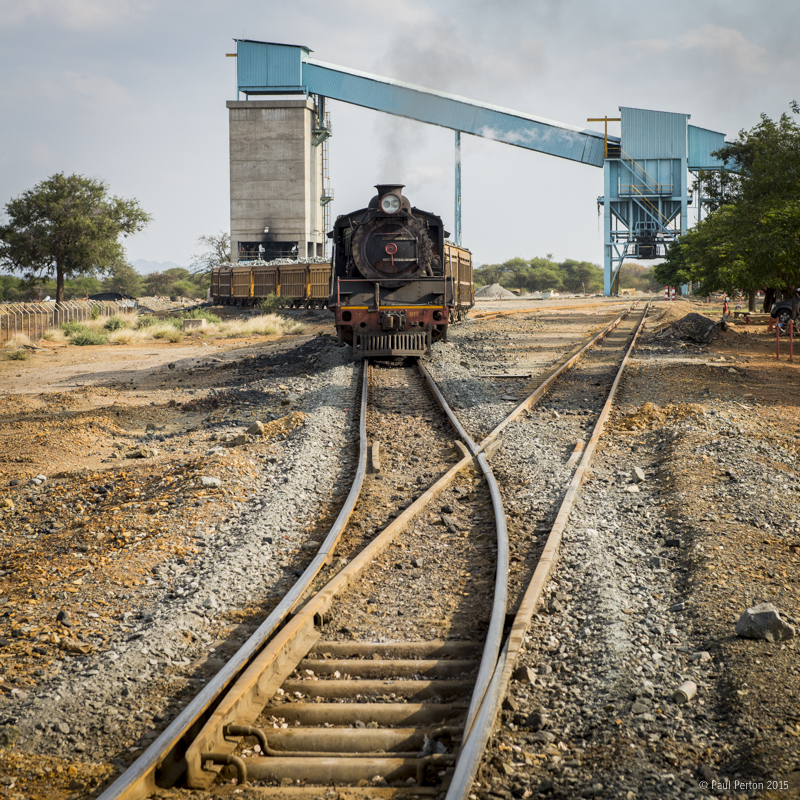 The locos are operated by Bamangwato Concessions Limited (BCL) at their Selebi Phikwe copper mine, having been purchased from South African and Zimbabwe Railways when they reached the end of their careers – probably some time in the late ‘70s. The tour I’m joining for four days will experience this last steam activity on the 3’6” gauge rails that dominate the region. Afterwards, I will head home and the group is scheduled to move on to the second part of their trip – into Zimbabwe for a similarly soon-to-end steamy experience. I joined a group in Jozi in 2010 and enjoyed the entire journey, including Zimbabwe. This time, I really didn’t want to do the whole trip again – Botswana seemed just fine. That is if I’d bothered to look at a map. Instead, I’d relied on my increasingly faulty memory and reckoned it wasn’t much further than Johannesburg – 1400km each way. A 12-14 hour journey I have made by road on many occasions. With a bitingly early start it’s possible to make an acceptable evening arrival in Jozi. Well, no. I was the best part of a thousand kilometres out. So, I needed to make a different plan and this time, decided to use my extended travelling to see and photograph on the way. I booked two overnight stops; one in De Aar the other in Vryburg. Once over the border, the scenery in Bostwana’s eastern areas isn’t as attractive, so I’ll tackle the final 650km from the border to Selebi Phikwe as a single journey. Allowing three days for the journey seemed plenty. I planned my departure from home to be extra early, to get me to a favourite sunrise spot about 80km away amidst the Overberg mountains. Mother nature did her thing and I left half an hour later with some beautiful pre-sunrise landscapes, shot looking directly east and over a gathering mist in the valleys. As the sun peeked over the distant hills, it suddenly became highlight blowout time and a good reason to get on with the next 700km. 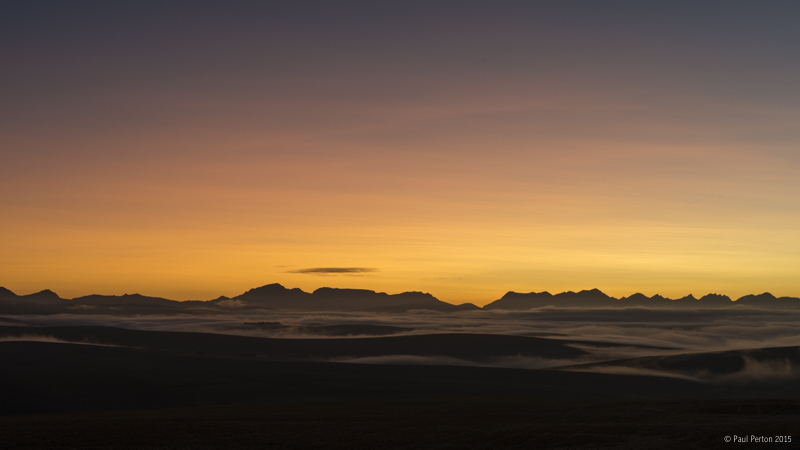 Sunrise over the Overberg – what better reason for getting up early? And aside from brief stops along the way, my drive was (thankfully*) uneventful. I arrived in De Aar before 16:00, located my digs and went to explore the massive railway complex that is the town’s raison d’être. Sited almost mid way between the industrial/mining/financial hubs of the Highveld and the markets and harbour of the Cape, De Aar was formerly a watering and refuelling place of the SAR’s huge fleet of steam traction. Now, it’s function is much less important as diesel and electric powered locomotives require significantly less succour and are well able to make the long haul across the semi-desert Karoo with little reason to stop and replenish coal and water reserves. 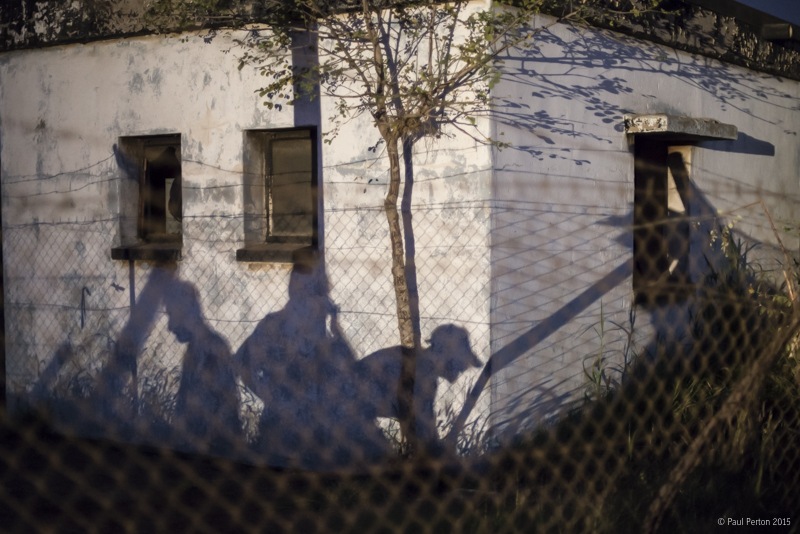 Today, De Aar is a marshalling yard, maintenance stop and lots of abandoned steam era buildings. Many of the latter having been ransacked by the impoverished dwellers from the nearby township for their window and door frames and other useful building materials. It’s Sunday and the town itself is a complete throwback to the South Africa I discovered when I first arrived here in the mid-70s; closed. And if it’s Sunday; religion and reflection prohibit anything which might be construed as enjoyment. That includes restaurants and bars. My evening meal came from the sole garage-attached shop that dared to remain open – a cheese and tomato toasted sandwich. It was surprisingly good, but as I write the notes for this post the following morning, it left me feeling distinctly ready for my full English this morning. Today, I’ll drive to Vryburg. A hopefully relaxed 540km, so I’m not in a hurry to leave and can make good on my plan to explore along the way. And so I did. 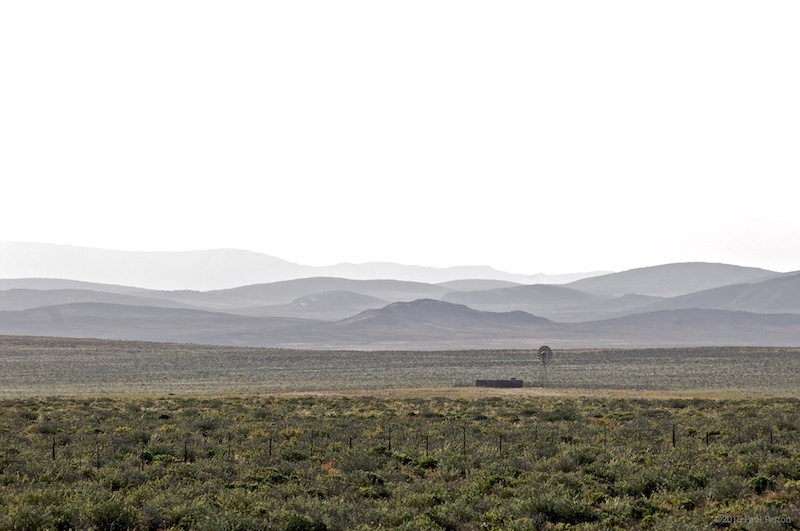 The far northern section of the Cape is almost unremittingly flat – hills on the periphery of every view, like a monk’s tonsure and horizon-to-horizon blue sky the only distinguishing marks. So much so that I arrived in Vryburg with nothing to show for my journey but a relief to have got here. I expect tomorrow to be similar and hope to arrive at Selebi Phikwe late in the afternoon, in time to check in before the rest of the group arrives on their coach from Jozi. Meanwhile, I’ve decided that while my plan to take two days to drive back next week is perfectly do-able, it’s not smart, especially as dusk arrives around 18:00 and our unlit country roads can often hide a browsing (and easy to startle) donkey, cow or worse, pedestrian. So I’m going to reprise my stopover here in Vryburg – there are few other places to stay and all require significant detours from my planned route. I’ll then spend a second night in Beaufort West, leaving me with just 450km to home. I suspect that I’ll be more than glad to see it by then. And, if it’s Tuesday, it must be Selebi Phikwe. I arrived on the dot of 16:00, pretty much as the assertive female voice inside Ms Garmin predicted. How does it do that over a distance of almost 800km? 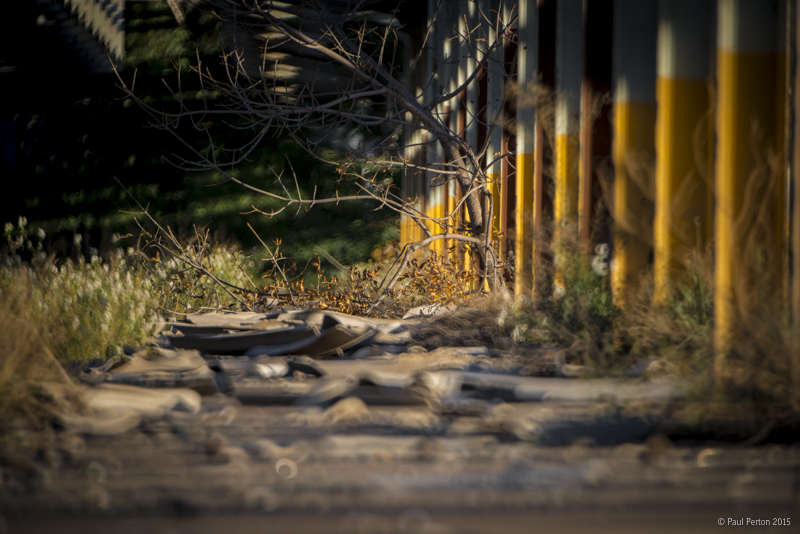 Especially as there were the usual border formalities to transact – they alone could have added hours, but the Garmin resolutely said 16:09. And so it was. It wasn’t all roses, however. There was no room booked for me at the hotel, nor a whiff of the payment I’d made – I eventually logic won the day and the staff let me into my room. But, here I am again with zero pictures for the second day in a row. Don’t worry, I’ll soon make it up. The next morning – day 1 of the tour – and it was clear that the coach bringing the tourers up from Jozi had only arrived mid-evening – due to a major traffic snarl-up leaving the big city. I’d eaten, washed my supper down with a glass of Scottish Communion Wine I’d bought from home and retired by then. Late arrival notwithstanding, everyone was chirpy and our 07:30 departure for BCL’s mine meant getting entry passes for us and our kit was well under way as the morning shift started. BCL (Bamangwato Concessionaires Limited) is a copper mine, part open cast, part underground. 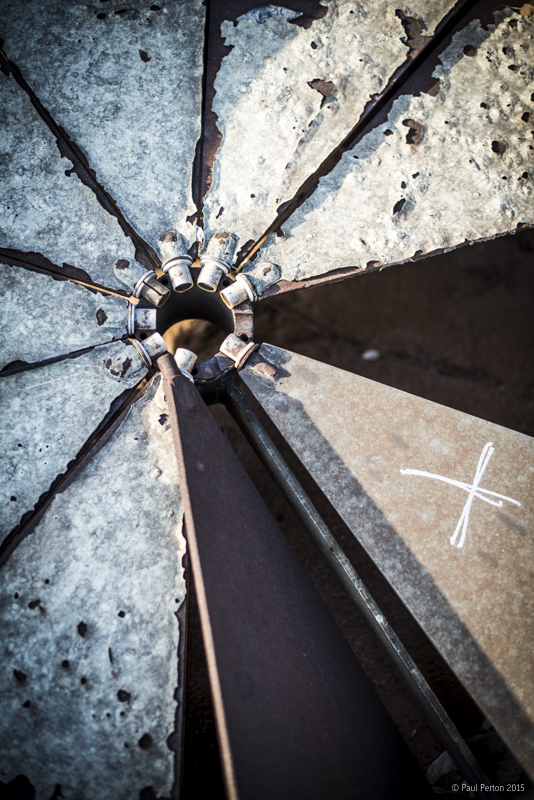 The rock-bearing ore is bought to the crushing/smelter facility by road from the pit and rail from the shafts, which are spread around the mine’s lease area – generally 5-10km from the production complex. It is on these lines that the former SAR and ZR Class 19D locomotives toil. And toil they do. The mine has six class 19D locomotives; two currently in service, one having a boiler wash out and expected back in service in a few days. Of the other three, one is awaiting a boiler inspection and re-certification, another in the midst of a general (and unhurried) overhaul and the sixth, unlikely to run again as dieselisation approaches. Shed cats – I can haz cheeseburger? As a result of their former working lives in Africa’s semi-deserts, the 19Ds are all equipped with so-called torpedo water tenders, permitting a huge quantity of water to be carried and as a result, significantly less stopping for replenishment. 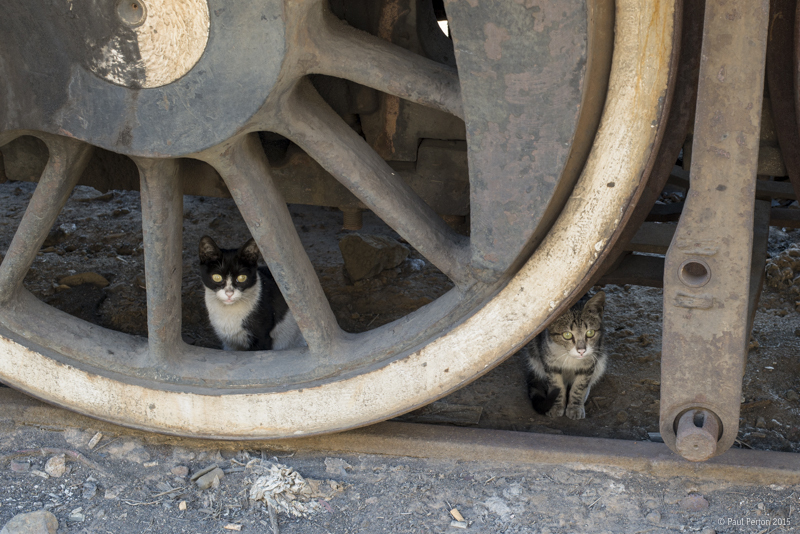 They are quite a sight – longer than the locomotive itself. 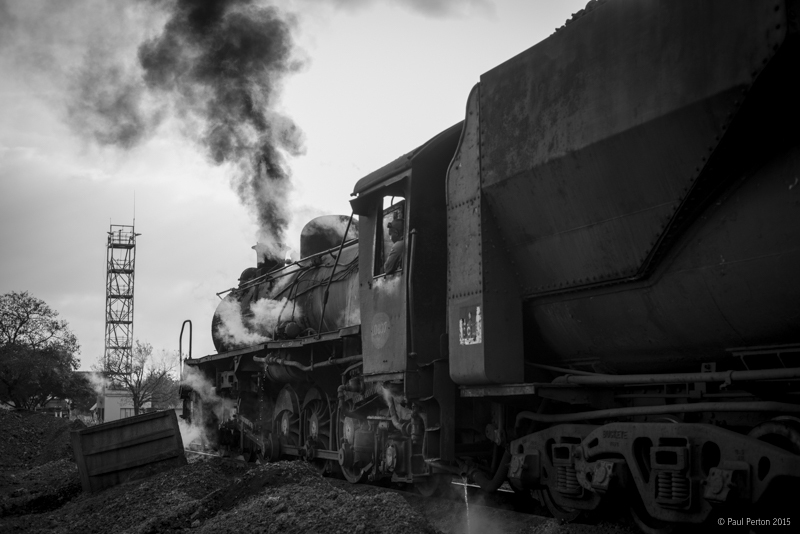 Hooked-up to 20-odd rock wagons and fully loaded, the trains easily pass the 1000 tonne mark, resulting in huge plumes of smoke, lots of noise and spectacular wheel slipping as these steam monsters try and get their loads under way. 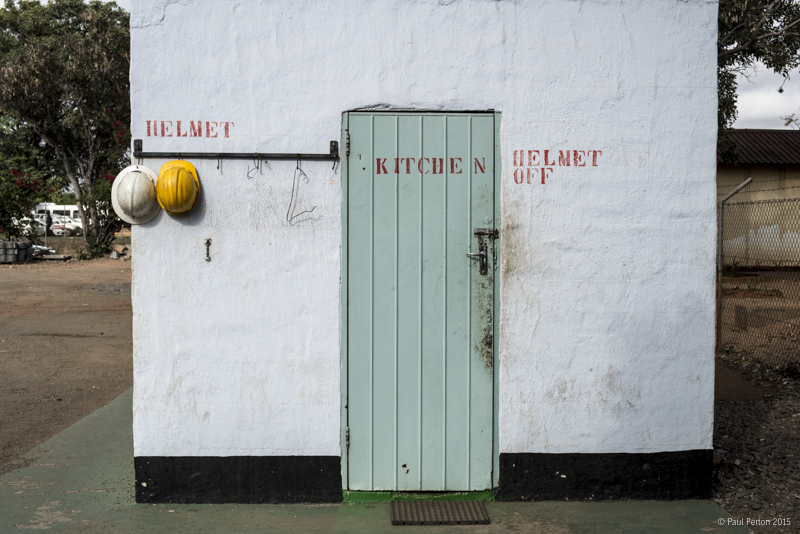 Our four days on the mine pass with regular trips to the loco shed (inside the main mine complex) and load-out station, where the newly mined rock is dumped on to a conveyor, on which it is taken to a crusher to be reduced to a fine powder. From there, the mine really starts work on its new asset, using a variety of chemicals and finally, smelting to extract impurities, leaving pure copper for pouring into ingots, cooling and eventually, sale. The mine is very proprietary about its technologies and we were not allowed to see any of the process. When not at the shed area, we chased the several trains a day to and from the two main shafts, our bus quickly overhauling the train as it left the yard. Arriving at a suitable spot – usually a road crossing, the group of photographers and their kit piling out usually only seconds before the warning whistle heralded the train’s approach. Passed, we climbed back on the bus and as fast as the poor roads would allow, headed for the next photo vantage spot. We even managed an evening shoot. 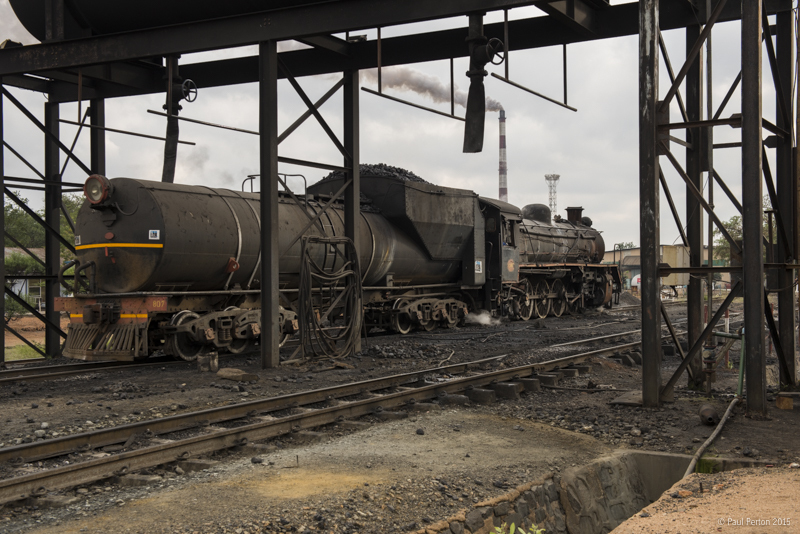 The mine uses a considerable amount of coal in its production process and an early evening task for one of the 19Ds is to collect a lengthy rake of empty coal wagons and haul them to the interchange yard, used by both the mine and Botswana Railways. The empties are shunted into an empty siding and a train of full wagons collected and hauled back to the mine, to ensure production is not halted for lack of raw materials. BW delivers a train of full wagons overnight and hauls away the empties. So far, so good. Once back at the mine, the loco shunted its wagons into a siding where several wagons left over from the previous day’s consist waited, still loaded with coal. Coupled together, the new load was simply too much for the locomotive, which strained, whistled, spun it’s wheels and generally put on a spectacular show in the gathering gloom of the Botswana night. Whatever it did, it was clearly going nowhere. Eventually, the driver split the train, marshalled half of the wagons in a reception siding, then went back for the other half and added them to the others. His job done, he headed back to the shed and us photographers climbed back on to the bus, heading for a (by now) late supper. Visit done, an early start got me on the road back to Cape Town, my first overnight stop back in Vryburg, the second as planned in Beaufort West. Three days, 2400 and some change kilometres and a couple of hundred litres of diesel fuel later, I pulled into the garage at home. It’s been great fun and the photography exactly as anticipated. After another three days on the road, it’s good to be home, sleep in my own bed edit my work at leisure. For the technically minded, all of the photographs were shot with my Nikon D800e using Nikon 24-70, 80-200 zooms or 50mm f1.4 (non AI) lenses. * Africa doesn’t fritter much money on fences and the locals allow their cattle to roam wherever they please – even the main highways into and out of our major cities. Dealing with wandering cows, sheep and/or goats in daylight is one thing, in the dark, it’s a nightmare. A collision with a foolish guinea fowl can do serious damage to a car, collecting a donkey will probably kill the beast and driver at the same time. So, if you’re planning on driving in the rural areas at night, you’re best advised to forget the idea unless it is a matter of life and/or death. Which it could easily be. This is very exciting. I think annyoe would love to visit Africa after this account.Good luck on the rest of your vacation.I still look forward to your updates.